Hearts to the Rescue: Long Island, NY Franklin and Woodstock Losing Their Only HOME on Sept 10.Shelter Bound. They will NEVER make it OUT of a shelter! Long Island, NY Franklin and Woodstock Losing Their Only HOME on Sept 10.Shelter Bound. They will NEVER make it OUT of a shelter! Franklin and Woodstock Losing Their Only HOME on Sept 10…Shelter Bound…They will NEVER make it OUT of a shelter! Please contact Joanne of Pioneers for Animal Welfare Society, Inc. joannegiordano11@gmail.com. 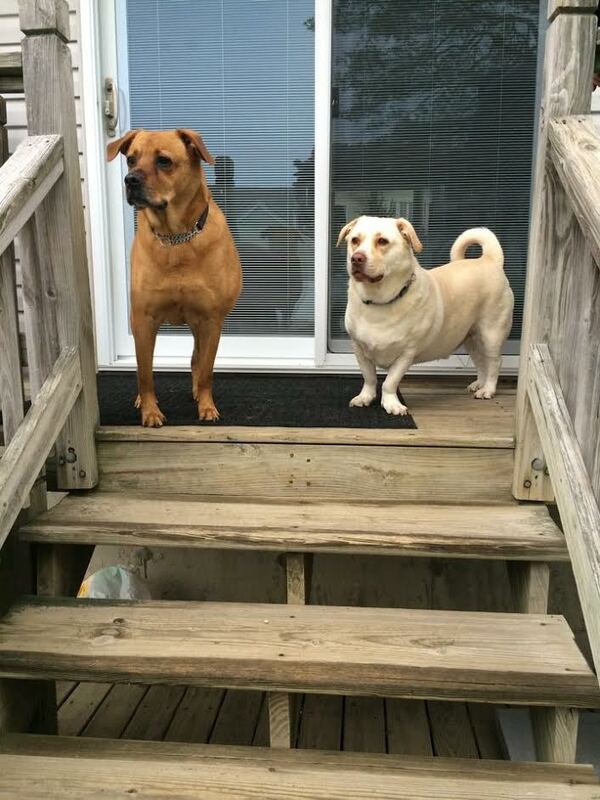 Owner losing her home on September 10- she is in desperate need to rehome her 2 dogs. Here is the Bio for Franklin and Woodstock: 2 male dogs 7 years old Franklin (Boxer/Lab) and Woodstock (Lab/Corgi) Franklin is fawn colored and Woodstock is yellow lab coloring. They are both neutered and micro chipped. Weighing approx. 65-70 lbs. each. They are house and crate trained. They don't like fireworks or thunderstorms, just cover crate and they are happy. They are good on a leash, love to go for a walk. Good in a car, but really not use to it. They can be active or couch potato. They love to play in the yard with a ball, chew toys, Nyla bone, even an ice box or just eating carrots. They are inside dogs. They would be better off with adults/older teens or even a single person or couple. Takes them a little time to warm up to people before showing love and dedication to them. Not good with cats or small animals. Both are neutered, and have always been healthy and are up to date on their shots. They don't like getting their nails cut. They know their basic commands. Just looking for someone to give them attention and love they deserve. Together or apart I think anyone would be lucky to have them. PLEASE!!! Pioneers for Animals Welfare Society, Inc.